The following are general policies regarding weddings/receptions at the Resorts of Pelican Beach. Please inquire if you desire further explanation of any of the policies. 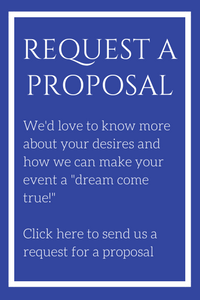 • Inquiries concerning wedding events should be directed to the group sales office. The sales office can assist you with your accommodations reservations code, recommendations for the beach wedding and officiate, event permits, reception coordination and locations, and food & beverage services. Beach wedding guests are required to purchase an â€œEvent Permitâ€ to utilize the beach for weddings. Permits are $150.00 and billed to your accommodations reservation. Please provide your Pelican Beach Management confirmation number to secure your permit. • Self catered and private receptions are not permitted on beach, pool and sun decks. • Local guest parking is restricted to the upper parking deck. • The Resorts of Pelican Beach cannot guarantee the use of an indoor facility in the case of inclement weather. • Please note, all events on the beachside deck must conclude by 9:00pm to meet resort quiet enjoyment policies. • Event tents are allowed in designated areas and must be contracted through the resort. • Minimum of 50 people for indoor reception. Maximum of 130 people for indoor seated receptions. Larger groups may be accommodated with the use of event tents. • Receptions and parties are not allowed in accommodation areas and the resort's policy for maximum guest occupancy is enforced. • Decorating of automobiles is restricted to designated areas. • All beach wedding set-up equipment may be set up after the beach service breaks down and coordinated with the beach attendant (usually after 5:30pm). All equipment must be removed at the close of the ceremony. • Glass is not permitted on the beach or pool areas in accordance with County ordinances. • The reception room fee is $2,000.00. An accommodations incentive is offered. The rental of condominium units earns a $100 reduction on the reception room fee, per unit, up to a total of $1,500. All rentals must be for a minimum of three nights to qualify for the reception room incentive and must be rented exclusively through the on-site management company, Pelican Beach Management, Inc. A group code will be assigned. • A non-refundable deposit is required for receptions and beach weddings. The Reception Deposit is $1,500.00 / The Event Permit is $150.00 / a combination is $1,650.00. • Full payment of anticipated charges should be made 14 days in advance of the event, when the final guests count is approved. Based on the service selection for bar service, a credit card must secure this account. • All equipment rentals (i.e. Champagne fountains, dance floor, etc.) must be discussed with your coordinator as many options exist. • Wedding Cake and floral services are permitted through outside vendors. • Bands are allowed on individual approval only. • DJ Service should be approved by the resort. "Everything was amazing. The staff was nice and very accommodating ... Our food got an upgrade which was a nice plus. The event really was everything I hoped for and more." "Josh exceeded our expectations! He went over and beyond to make our day special. He was outstanding, professional, and eased the stress on us. I would highly recommend anyone to get services from him. He was exceptional and the epitome of great service!" "Conference Center was reserved for wedding reception and this was our first event at Pelican Beach Resort. We were extremely satisfied with the overall professional performance and guidance of Coordinator Josh Pryor. Josh was easily accessible and always answered any questions promptly by phone, text or e-mail. He also did an excellent job setting up and organizing the conference center for the wedding reception. Josh went above and beyond the evening of the wedding by helping us move the wedding inside due to rain. Due to his presence and quick response to our concerns, the wedding was a beautiful success in the reception room. Josh is a tremendous asset to Pelican Beach Resort. The catering staff performed in a professional manner. The tables looked beautiful with all the tableware and the food was delicious. The entire staff performed admirably and we were very pleased. We would highly recommend Josh and the staff of Pelican Beach Resort to host any special event. Thank you Josh for all your help. We enjoyed meeting you and look to forward to seeing you again next year!" "Very Satisfied ... No problems, Josh was amazing and went above and beyond the call of duty for our reception! ... The food was delicious!... We would highly recommend Josh to anyone wishing for a wonderful, professional experience and relaxing beach get-away. Thanks for the unforgettable memories!"